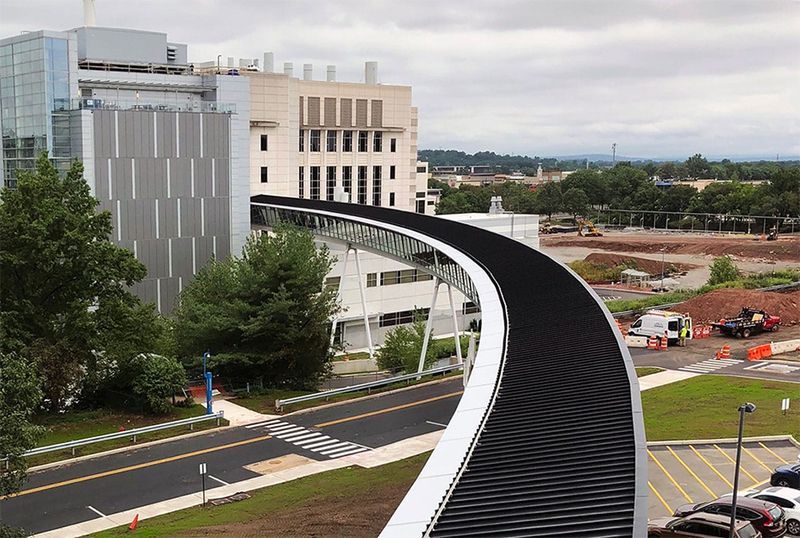 The CDI Vivarium facility is a 6-story, 39,000 GSF building that has been specially designed to meet the unique needs of scientists and researchers in the fields of genetics, infectious, oncologic and regenerative medicine fields of science. The facility offers state-of-the-art capabilities in newly renovated space which includes a large cage preparation area, autoclaving space, multiple holding rooms, six procedure rooms, two surgical suites, and an X-ray irradiator. The vivarium also features a 3,000 GSF ABSL-3 facility, which serves the scientists conducting highly pathogenic infectious diseases research. 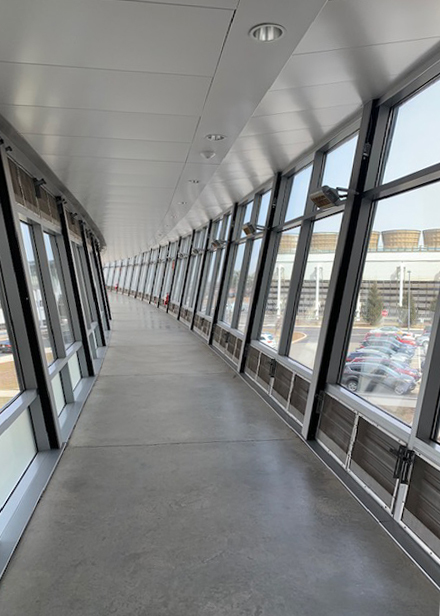 Scenic skybridge that extends from the vivarium to the laboratory space and allows scientists and research staff to move between the different buildings efficiently and comfortably.